Ordering Notes: 2 rolls will fit in a USPS Priority large Flat Rate Box. The patented Eternabond adhesive has an integrated primer which enables RoofSeal to BOND with the surface it is installed on. It can be applied without primer to most clean surfaces. This is NOT true for butyl adhesive tapes. Butyl tapes ALL need to have primer applied. 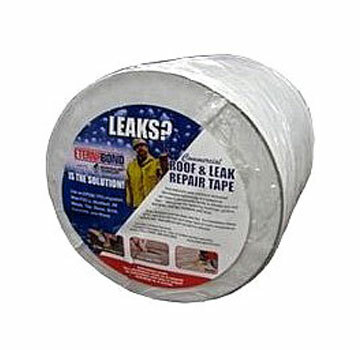 Perfect for re-seaming all roofs, regardless of the material, RoofSeal makes a permanent water-tight seal. Also great for tank repairs. Limitation: does not stick to silicones.